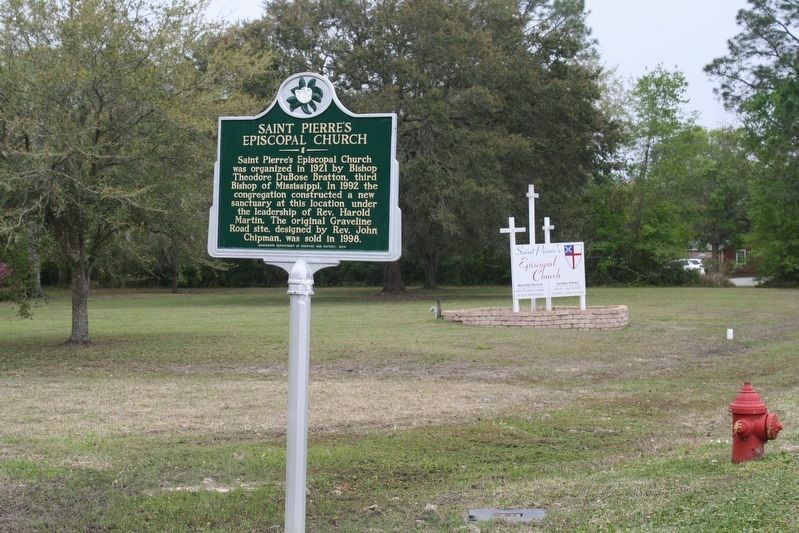 Saint Pierre's Episcopal Church was organized in 1921 by Bishop Theodore DuBose Bratton, the third Bishop of Mississippi. In 1992 the congregation constructed a new sanctuary at this location under the leadership of Rev. Harold Martin. The original Graveline Road site, designed by Rev. John Chipman, was sold in 1998. Erected 2014 by Mississippi Department of Archives and History. Location. 30° 24.39′ N, 88° 39.33′ W. Marker is in Gautier, Mississippi, in Jackson County. 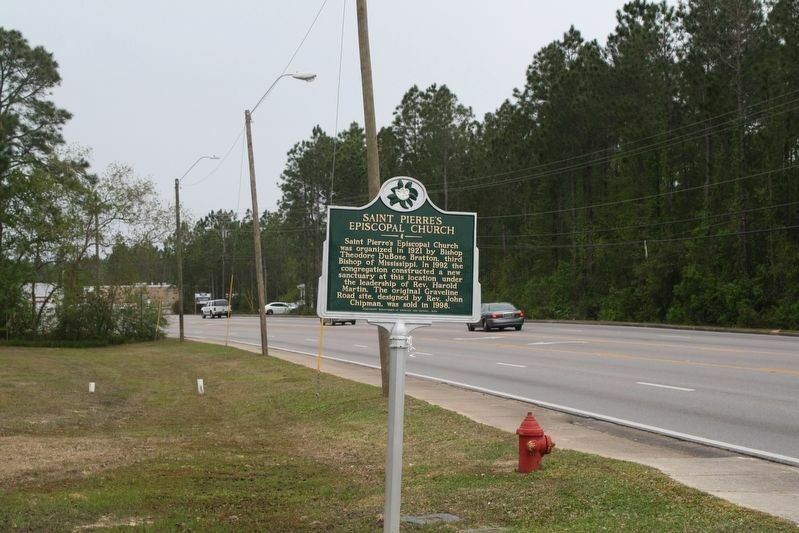 Marker is on Gautier Vancleave Road, on the right when traveling north. Touch for map. Marker is at or near this postal address: 4412 Gautier Vancleave Road, Gautier MS 39553, United States of America. Touch for directions. Current church signage can be seen in the background. (approx. 2.8 miles away); Graveline Bayou Indian Mound (approx. 3 miles away); Historic Gautier Cemetery (approx. 3 miles away); The Old Place (approx. 3.1 miles away); Twelve Oaks (approx. 3.1 miles away). Touch for a list and map of all markers in Gautier. More. 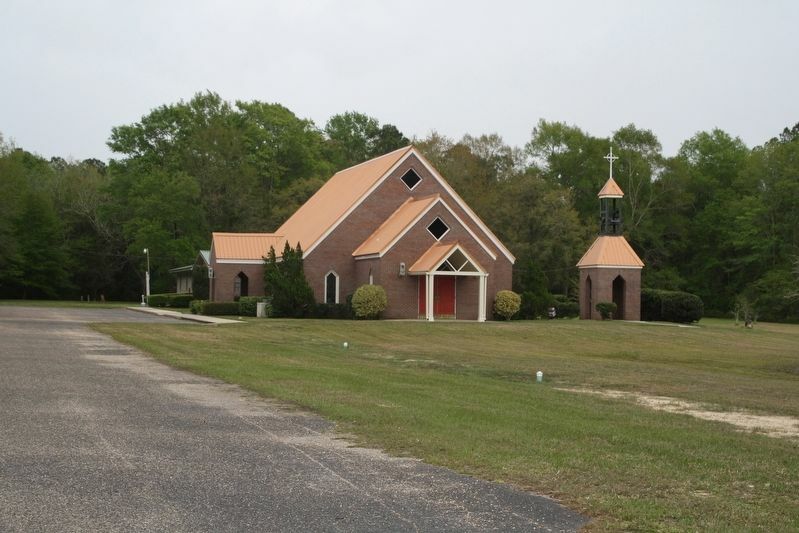 Search the internet for Saint Pierre's Episcopal Church. Credits. This page was last revised on April 2, 2019. This page originally submitted on March 31, 2019, by Stephen Bell of Biloxi, Mississippi. This page has been viewed 43 times since then. Photos: 1, 2, 3. submitted on March 31, 2019, by Stephen Bell of Biloxi, Mississippi. • Andrew Ruppenstein was the editor who published this page.